SCE employees and evaluators participate in a simulated drill at the company's Emergency Operations Center in Irwindale. The companywide exercise in response to a mock 7.8 magnitude earthquake is part of the utility’s ongoing emergency response efforts that include state and national partnerships. It’s 10:45 a.m. on a Sunday and a massive 7.8 magnitude earthquake has just struck major areas of Southern California from the Coachella Valley to cities in the San Gabriel Valley. At Southern California Edison’s Emergency Operations Center in Irwindale, large computer monitors and TV screens flash swaths of varying shades of red indicating the most impacted areas. Employees gather in teams to evaluate the situation and assess the damage. Welcome to SCE’s simulated earthquake drill. The exercise is one of about 50 exercises the utility conducts each year with its employees, all part of its efforts toward disaster preparedness. And on Thursday, SCE will join several million Great ShakeOut participants in California as they conduct an all-day earthquake drill with the Federal Emergency Management Agency, the California Office of Emergency Services, other utilities and companies and a variety of first responders. 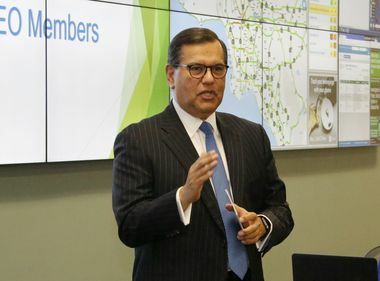 “I am impressed with all that Edison is undertaking, what has already begun,” said Dr. Lucy Jones, renowned seismologist and founder of the Great ShakeOut, who has long partnered with utilities like SCE on earthquake preparedness. 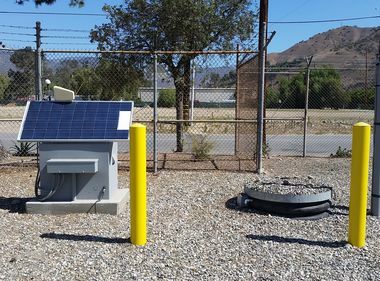 In addition to training its personnel, SCE has partnered with scientific institutions like the U.S. Geological Survey and Caltech to develop early earthquake warning systems, technology that can help provide a few seconds of warning before a major earthquake. SCE has also invested millions in infrastructure that includes earthquake-resilient design standards such as at its Alhambra Data Center. As part of its emergency preparedness, SCE also works closely with first responders as well as local, state and federal governments to coordinate its disaster response measures. “We speak the same language as first responders and we are organized and structured the same way as they are,” said Don Daigler, SCE director of Business Resiliency. “We understand the interdependencies that local, state and federal governments have during major emergency events. “Our seismic response will be important to millions of people in Southern California, and that motivates us every day,” he added. Jones believes California is more prepared for earthquakes than it has been in years past, but the “Big One” is something you can never be fully prepared for. 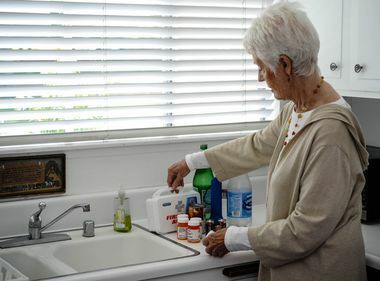 Long-term effects will include power, water or gas outages to a large percentage of the Southern California population, some for an extended period of time. Key infrastructure and buildings will likely be destroyed. Businesses will be disrupted and affected residents may flee the damaged areas. “We have made progress in earthquake preparedness and we feel more prepared than ever to meet those challenges,” said Payne.